The fourth race of the London orienteering clubs’ 2014 Park Race series was held on the newly-created and newly-mapped Northala Fields in west London on Tuesday 1 July. Series results to date are available here. I thought it was a nice new area worthy of the slightly longer journey for most participants and this seems to have been borne out by the positive comments after the race. My thanks to Ben who pre-ran the course for me and thanks to whom you had much less running in the long grass; I was surprised how much it had grown in the two months since I mapped the area. Thanks to Ben also for manning registration/download and to Dan and Kate for the Start. The area can be extended south somewhat so look out for different challenges next time we use it. 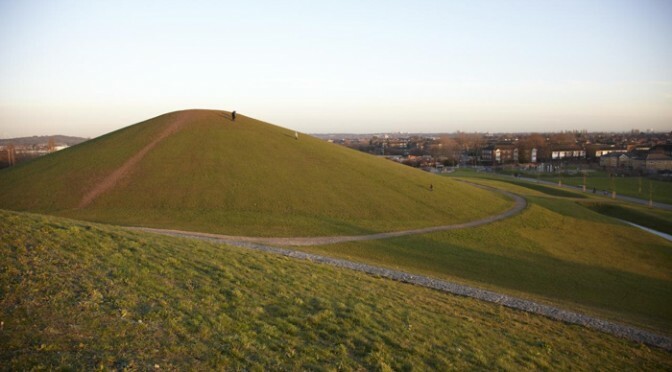 For those interested the hills were apparently built from the debris from the old Wembley Stadium and are intended to shield the rest of the area from the noise of the A40. For those who didn’t stop to look, the view from the top is well worth a visit. You get a great view of the city and, I believe, can even see Box Hill.